Solar energy refers to energy directly from the sun, which has been burning for billions of years. Solar energy is vastly abundant and it does not produce any pollutants. The sun in our solar system is so strong, it takes only 10 minutes for light waves to make the over 90 million-mile journey. The earth receives roughly 174 Petawatts of incoming solar energy in the atmosphere. In 1905, famous physicist Albert Einstein, reveals the physics of the photoelectric effect, a discovery that eventually gains him a Nobel Prize. To convert the energy from the sun into usable electricity, we use active photovoltaic (PV) panels which contain many solar cells. The cells produce the electric power from forcing electrons to jump across silicon layers when light energy passes through them. Solar energy is not only noise but pollution free since it does not have any byproducts or moving parts. The oil crisis of 1973 exposed the fragile state of fossil fuels as an energy source for the world. Research in alternative energy technology gained momentum. Now, there are nine states in the U.S. where 100% of new electrical energy comes from solar power. Solar energy is accepted as the future of alternative energy sources regarding clean air/pollution, and clean water because it has absolutely no negative environmental effects. Going solar is now an easy endeavor here in 2017. 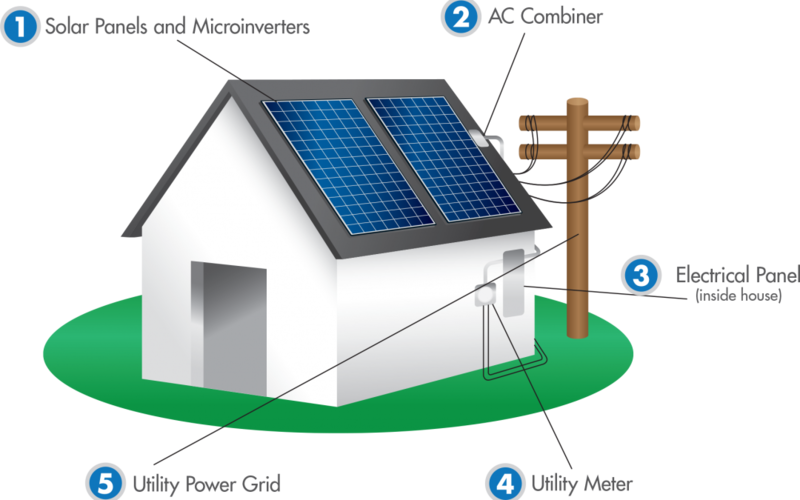 A modern solar energy system only consists of the panels, an inverter, regulator, wiring, and support materials. Solar power can also significantly reduce the electricity bills, as well as many tax incentives and rebate programs exist to reimburse citizens making that step into a cleaner future. Solar panels are also exempt from property tax in many states and can up the value of a home similar to a complete kitchen remodel.